Deadline for nominations: 30 June 2016! The purpose of the course is to train early-career scientists from the Latin America and the Caribbean region entering the ocean acidification field, with the goal being to assist them in setting up pertinent ocean acidification experiments. 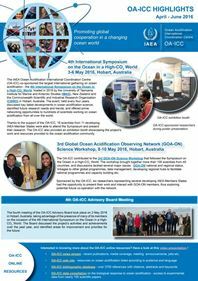 Increased capacity to measure and study ocean acidification and increased networking among scientists working on ocean acidification in the Latin America and the Caribbean region. 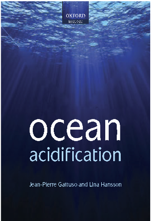 Initiate/deepen connections with the Global Ocean Acidification Observing Network (GOA-ON; www.goa-on.org). The training will include lectures in plenary sessions and hands-on experiments in smaller groups (the level will depend on the basic knowledge of the selected participants). Subjects to be covered include: the carbon dioxide (CO2) system in seawater and relevant measurements; instrumentation available for measuring seawater chemistry parameters; software packages used to calculate CO2 system parameters; and key aspects of ocean acidification experimental design, such as manipulation of seawater chemistry, biological perturbation approaches, and laboratory- and field-based methods for measuring organism calcification and other physiological responses to seawater chemistry changes, including nuclear and isotopic techniques. The course is open to 20 trainees from IAEA Member States in the Latin America and the Caribbean region. Priority will be given to early-career scientists who have begun to work in the ocean acidification area. Experts in other fields interested in becoming involved in ocean acidification studies would also be welcome, space permitting. The participants should have a university degree in marine biology, oceanography or a related scientific field, and should be currently involved in, or planning to set up, ocean acidification studies. Email: L.Hansson(at)iaea.org). Nominations should also be copied to the Administrative Secretary for the course, Ms Hasti Dessa (Email: H.Dessa(at)iaea.org). Nominations received after this date or which have not been routed through the established official channels cannot be considered.